Just another well-received mobile game Fruit Ninja has been moved from virtual world into our real life. If you is addictive to the mobile game, Fruit Ninja: Slice of Life toy kit may be able to catch your eyes. Fruit Ninja: Slice of Life is an interesting desktop game inspired by the top-selling mobile game, Fruit Ninja. 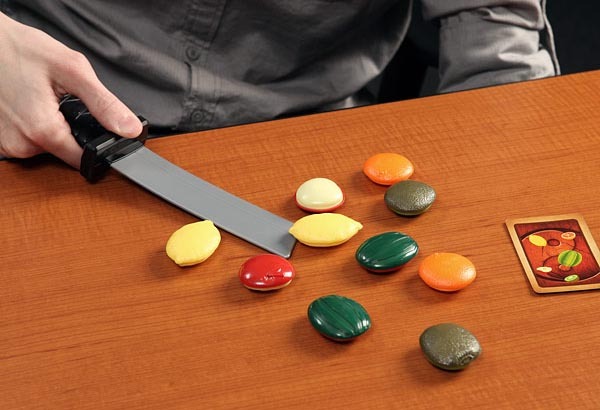 The desktop game comes with two toy ninja swords, 20 fruit and bomb pieces, and 40 Fruit Ninja mission cards. All you need to do in the two-player game is to complete various fruit mission cards via slicing up the correct fruit pieces with your ninja sword in order to being the first ninja. Want to be a real Fruit Ninja? The toy kit should be nice idea. 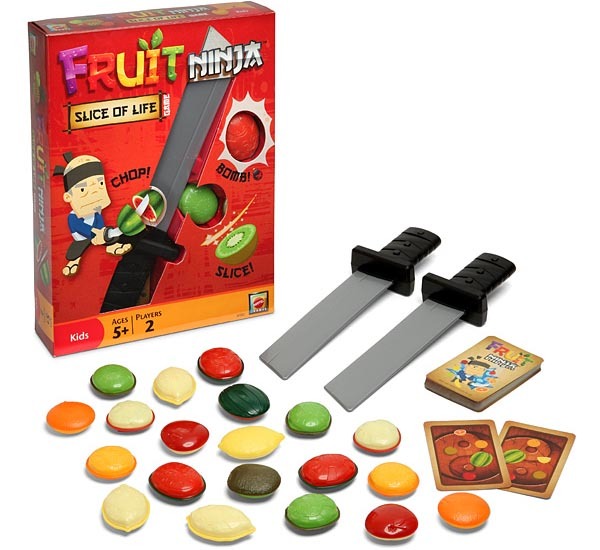 Fruit Ninja: Slice of Life toy kit is priced at $24.99 USD. If you’re interested, jump to ThinkGeek for more details. Additionally, if you need other Fruit Ninja inspired gadgets, you might like to check Ninja Fruit Training Pack plush toy. Thanks for share this nice blog.